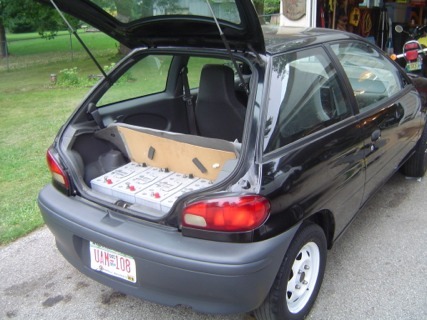 Electric cars don’t have to be prohibitively expensive.Â In fact, they can be surprisingly affordable for a resourceful tinkerer.Â In Part 2 of this 5 part series, Ben Nelson answers ten questions posed to him about his $1200, 1995 Geo Metro electric conversion, and the lessons he learned from the experience. 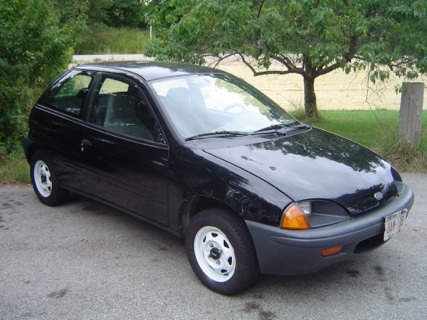 I put about $1200 into the project all together, and that includes buying the car in the first place. I spent $500 to get the car, but then got back $550 in parts that I sold off of it. That means I got the “glider” for free. Other parts were mostly purchased used. Some were salvaged, and a few were donated. I bought my motor for $50 out of a guy’s garage. I paid almost $400 for a bunch of work by a local machinist. It was all worth it, as I had NO experience or the right tools for that. But if I had been able to do that work myself, the whole project would have only been around 800 bucks. Considering that many EV conversion kits start at around $6000, I think I did pretty well. I saw a guy a few weeks back doing a very nice high-end truck conversion. His battery CHARGER cost more than my ENTIRE PROJECT! this one) are running on used batteries. 2) How far can it go on a charge? The farthest I have gone is 20 miles. My batteries are slightly used, but purchased at “core-charge” cost. I only have 6, 12V, 100AH batteries, so it’s a pretty small pack in electric car terms. But considering most my trips are only about 10 miles, it’s more than enough. 3) How fast does it go? Fast enough to get a speeding ticket! The car can get up to 45 mph. 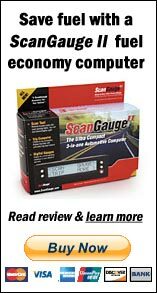 Typical driving is around 35 mph. Acceleration is good from 0-30 and pretty slow from 35-45. 4) Why did you build it? I wanted to have a vehicle that was cheap to run. I also just wanted something much more efficient on short trips. Short trips are the absolute worst for internal combustion engine efficiency. The more I learn about oil production, and its true cost, the less I want to use any of it, period. My car runs on renewable electricity, not power made from coal or oil. 5) Where did you get the idea/motivation? I don’t think I ever would have even attempted something like this without at least a little electric vehicle experience under my belt. Last year, I converted a motorcycle to electric. That gave me the confidence to try an automobile. 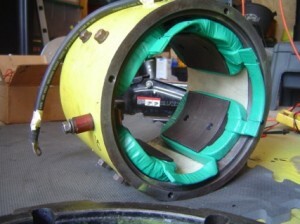 having never worked on an electric motor before. 6) What do you typically use the car for? The car gets used a lot for all those little errands that always add up: quick trips to the grocery store, to get take-out food, to go to the post office. We also used the car a few times for pickup up and dropping off my wife at her carpool. Take-out pizza seems to be a theme in how I used electric vehicles.Â I also used it for hauling wood for my annual bonfire in October. 7) What’s the coolest response you’ve had to your car? On another occasion, I was riding back from some out of town work with a guy, and was getting dropped off at a parking lot, where I had driven the Electro-Metro to meet him in the morning. I had made it there first, so he hadn’t seen the car drive yet. 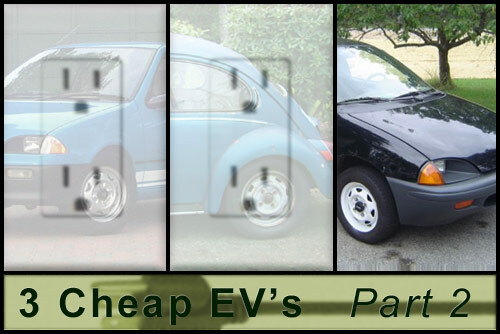 During the day, we chit-chatted about what I had done converting a car to electric. When we finally made it back to my car, I told him I would show him the car in action. I was planning on just driving a loop or two around the parking lot. The instant I had the car in reverse, and started backing out of the parking space, he burst out in uncontrollable laughter! I really don’t think he was expecting how quiet it was, the fact that it could move without an engine, or that I had built the thing! Another time, my high-school-school aged younger brother and his three friends showed up un-announced at my house. They came to see the “cool electric car”. I was excited to know they thought of my Metro that way. Unfortunately, they were there to see my 1977 Citicar! None the less, since the Metro is a four-seater, I was able to take all three of the friends for a ride around the neighborhood. Try fitting 4 people in a Citicar! 8 ) Tell us something unexpected you learned/discovered from your project. I guess a big thing is that I didn’t realize how many new people I would meet, and become friends with. I had no idea how many people were quietly working on similar projects in their backyards and garages. A group of us have an informal club going now, working on each other’s electric vehicle projects. We have even talked about building a group project, maybe auctioning it off for charity. There’s lots of amazing people out there, doing incredible work, and it’s not the sort of thing you hear about on the nightly news. 9) What was the hardest part? The hardest part of this project was forging ahead at times where it seemed like I hit a dead-end. A part didn’t work. I didn’t know how to do something. I didn’t have the right tool. There have been too many things in my life I haven’t completed. I wasn’t going to let this be one of them. I seriously did pull the engine out with LITERALLY a clothes line. I negotiated an unbeatable deal on a second transmission at the junk yard when I found the original wasn’t going to be usable. I tore down and rebuilt a forklift motor, even though I had never done anything like that before. When we learn new things and work on projects like this, we really aren’t building machines, we are building ourselves. When we get together with friends, we forge bonds of friendship as much as we weld steel. 10) Any advice for anyone else considering doing something like this? You are crazy! But that’s ok. Just decide to do it. Make the choice, then throw your heart into it. Make new friends. Go to the library. Learn all you can. Get support. Find other people who are interested in it. Join the Electric Auto Association. Brag about it. Revel in success and learn from setbacks. Take pride in something you can do yourself, even if it’s rusty, even if it only goes 25 mph. 99% of all the advice I get on my project comes from people who have never done anything similar to it. The other 1% – they’re my new friends – comrades in greasy hands, busted knuckles, and EV grins. The batteries for these cars need to be in a compartment sealed away from the passenger compartment. Batteries put off toxic vapor that will cause cancer over a few years of constant breathing. Trunks are not sealed either. Get some bondo and glue and paint and seal those trunks up , then ventilate them from underneath. You should even put a small computer fan in there to help it. The batteries do not release carcinogenic vapors. I worry about science education in this country. Unless you have some pretty strange body chemistry, a little bit of hydrogen isn’t going to hurt you. In fact, sealing lead acid batteries inside a trunk would be a very bad idea. The hydrogen could build up, highly flammable hydrogen. I have no doubt a car could be built for cheap when the materials for it are donated/given away. However, small expenses add up fast and sometimes ya just gotta buy retail. I would urge anyone who wants to convert an EV to take on a smaller project first. Perhaps take an introductory automotive course or convert a motorcycle. That way, experience can be gained and tools collected to make a full size EV project more likely to succeed.